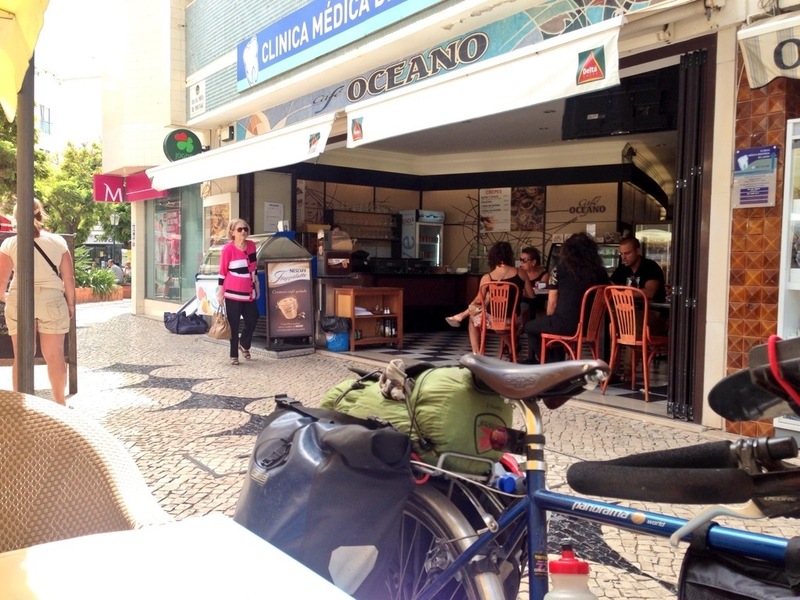 Made it to Lagos & about to tuck into lunch; some pasta for that final bit of cycling. The N125 is now a lot quieter although the condition of the road itself deteriorates as each kilometre goes by. The wind is picking up however and I assume will get stronger as we approach the cape. 31km from here to Sagres and then just a final 6 to the cape itself. If I can find the campsite in Sagres easily I will pitch the tent before heading off to my final destination so as to not feel under any time pressure to return. That’s the plan!